I was interested in living with a homestay family in Tucson Arizona while attending a master’s program at the University of Arizona. My plan was to go to Tucson, Arizona to the Center for English As a Second Language (CESL) at the University of Arizona, move into a home stay family for a month or two and then get my apartment. The next important thing for an international student to think about after choosing a great University is to think about where they will live. What Did the American doctor say to the International Education and Homestay Student? Education and homestay international students who come to the United States in search of a good education and cultural experiences have some humorous and sometimes frightening experiences along the way. Take the homestay student from Saudi Arabia who hurt his shoulder playing soccer. His homestay family took him to the doctor and the doctor wanted to do a test – an MRI – . The Saudi student was told a dye would be inserted in his shoulder and then the doctor would take a picture. The Saudi student looked fearfully at the homestay parent and the parent quickly realized there was a misunderstanding. While explaining what the doctor said, it became evident that the student thought the doctor said the student would DIE instead of, we will place DYE in your shoulder. 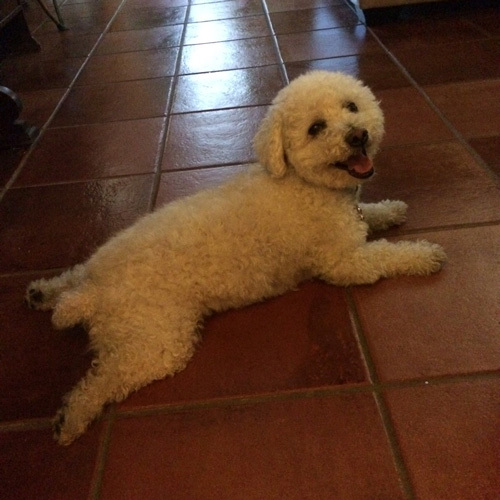 It’s A Dog’s World in American Education and Homestay! An Iranian international student studying English at CESL at theUniversity of Arizona was adamant that she did not want to live with dogs. Yet, she liked the homestay family and the dogs were quite small so she decided to give it a try. The family made sure the dog was ne ver in her room and she had full permission to tell the dogs to go away and not jump on her. After two months, she takes the dogs for walks, feeds them and actually loves them! She still doesn’t want them in her room and she doesn’t want them to sit on her but she learned that dogs can be respectful and she learned how loving and fun they are! Welcome to America, the land of dogs! If you get the right Homestay family, and we make sure you do, you can have an experience that makes you feel part of America and right at home in the University education system. Let us get to know you today and find the right Education and Homestay for you! Tucson Homestay Students Thrilled With College Football! With so many activities available to USA college students, it’s hard to find the time to fit them all in around studies. But Tucson homestay students are thrilled with college football, and find the time to make it to a home game at the university stadium, and it rarely fails to be an exciting event. 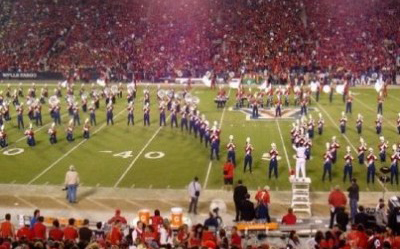 Arizona football is one the favorite activities for Tucson homestay students. The Wildcats always excite the crowd at the stadium, and everyone has a good time from homestay students to diehard boosters who’ve been going for decades. USuccessAbroad encourages homestay students to take advantage of all that college life has to offer, with a few exceptions. From football, to collegiate men’s and women’s basketball, to tennis and cross country, college athletics is a great way to get involved with what’s going on around campus! But it doesn’t end there, U of A has an assortment of other on campus happenings. Your homestay family and college resources will help you become familiar with the fun things to do available. Off campus activities are also popular with Tucson homestay students. A visit to the Arizona-Sonora Desert Museum, Old Tucson or Mount Lemmon are all within an hour of the university area. These are just a few of the local attractions that offer a Tucson “Old Pueblo” flair, and are very popular with tourists as well.